Hey Match-heads! Be sure to pick up Superman/Wonder Woman #21 in stores now! It features an appearance by our favorite flame brain! Below is one page of the book, found via ComicVine. My thanks for the heads-up on this appearance to Christopher Luke, HughDeMann, CraigimusMax, The Aquaman Shrine on Twitter, and anyone else I may have missed! 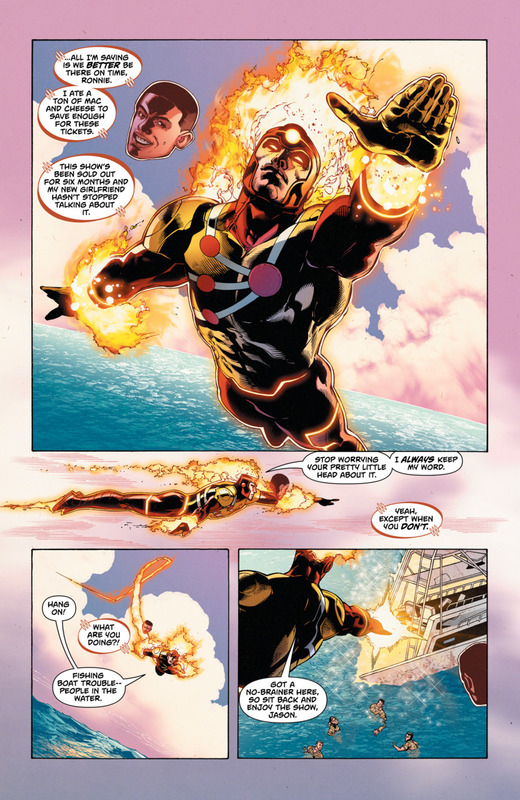 Support Firestorm (by purchasing this comic)! Fan the flame! Posted in: Comic books, Firestorm #10: New 52 v2 (Ronnie/Jason), Jason Rusch, Ronnie Raymond.